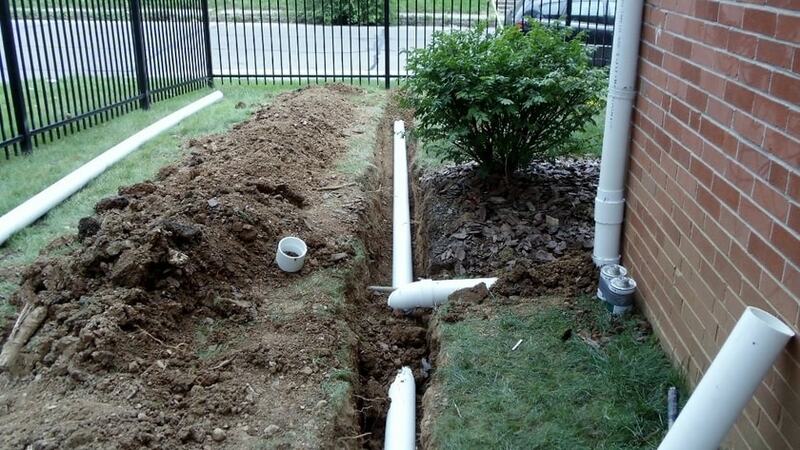 Home»Blog»The Importance of A Good Drainage Plan For Your Texas Home. The Importance of A Good Drainage Plan For Your Texas Home. DFW & Austin lawn mowing company, Go Mow, explains the importance of a good drainage plan for your Texas home. It’s a problem that has to be fixed with an appropriate drainage plan to keep it from causing long-term damage, to not only your grass, but foundation as well, depending on the location of the concentrated water & how close it is to your home. In addition to weakened roots, puddles of water can be a breeding ground for mosquitos, that are not only annoying, but can spread diseases like West Nile. Aesthetically, your lawn can be damaged when walking through puddles, crushing the already drowning grass, creating pockets of dead lawn. And that’s something no homeowner wants to have. A healthy lawn allows water to pass through the grass & soil, down to the root system, delivering hydration & oxygen. At Go Mow, we not only care about the look of your grass, but its health as well. To set up an appointment today with DFW & Austin lawn mowing company Go Mow, visit www.gomow.com & select the service you would like. We offer a variety of service options to serve our customers.